Pictures show various angles of the battery. Pricing is for 1 battery pack. For Fleet pricing (25+ pcs), please call us @ 1-800-308-4805. 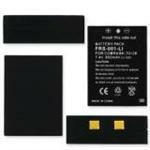 FRS-009-NH : 3.6 volt 1650mAH NiMH battery for Motorola FRS radios. FRS-005-NH : 6 volt 700mAh rechargeable NiMH battery for MIDLAND FRS radios. FRS-005-NH : 6.0 volt 700mAh rechargeable Nickel-Metal Hydride battery for MIDLAND FRS. RATING : 6.0 Volts 700mAh. SIZE: 1.92"L x 1.7"W x 0.72"H. Replaces original battery #s MIDLAND BATT5R. See x-ref list for radio compatibility. # FRS-001-Li : 7.4volt 850mAh rechargeable Lithium-Ion battery. TYPE/CHEMISTRY : Lithium Ion. RATING : 7.4 Volts 850mAh. SIZE: 1.97"L x 1.46"W x 0.5"H.
Replaces original battery #s : COBRA BK-70128, MN-0160001. Battery works with these radio model#s: COBRA CXR-700, CXR-750, CXR-800, LI-3900, LI-3950, LI-4900, LI-5600, LI-6000, LI-6050, LI-6500, LI-6700. LIST PRICE $ 24.00 ea. TYPE/CHEMISTRY : Ni-MH. RATING : 4.8 Volts 700mAh. SIZE: 1.73"L x 1.61"W x 0.43"H.
Replaces original battery #s COBRA FA-BP, MAXON ACC511. Battery works with these radio model#s: COBRA ACC100, ACC104, ACC110, ACC115, ACC130, ACC220, ACC235, ACC250, ACC300, ACC305, ACC307, ACC310WX, ACC315, ACC511, ACC70, ACC80, PR1050, PR1100, PR240, PR3000, PR3100, PR3175, PR350, PR50, PR550, PR900, PR950; MAXON PMR508, PMRS446. LIST PRICE $ 20.00 ea. # FRS-004-NH : 4.8volt 700mAh rechargeable Nickel-Metal Hydride battery for MIDLAND FRS. TYPE/CHEMISTRY : Ni-MH. RATING : 4.8 Volts 700mAh. SIZE: 1.71"L x 1.61"W x 0.44"H.
Replaces original battery #s MIDLAND BATT4R. Battery works with these radio model#s: MIDLAND G223, G225, G226, G227, G300, G300M, G500, GXT-200, GXT-250, GXT-255. # FRS-005-NH : 6.0 volt 700mAh rechargeable Nickel-Metal Hydride battery for MIDLAND FRS. TYPE/CHEMISTRY : Ni-MH. RATING : 6.0 Volts 700mAh. SIZE: 1.92"L x 1.7"W x 0.72"H.
Replaces original battery #s MIDLAND BATT5R. Battery works with these radio model#s: MIDLAND GXT-300, GXT-325, GXT-400, GXT-444, GXT-450, GXT-500, GXT-GXT-550, GXT-555, GXT-600, GXT-635, GXT-650, GXT-661, GXT-700, GXT-710, GXT-720, GXT-750, GXT-756, GXT-757, GXT-775, GXT-795, GXT-800, GXT-850, GXT-900, GXT-950, LXT-210, LXT-303, LXT-305, LXT-310, LXT-350, LXT-410, LXT-435, NAUTICO NT1VP. LIST PRICE $ 25.00 ea. # FRS-006-NH : 4.8volt 700mAh rechargeable Nickel-Metal Hydride battery for MIDLAND FRS. TYPE/CHEMISTRY : Ni-MH. RATING : 4.8 Volts 700mAh. SIZE: 1.71"L x 1.62"W x 0.46"H.
Replaces original battery #s MIDLAND BATT6R. Battery works with these radio model#s: MIDLAND LXT-276, LXT- 314, LXT-317, LXT-318, LXT-319, LXT-320,LXT-322, LXT-323, LXT-324, LXT-330, LXT-335, LXT-340, LXT-345, LXT-376, LXT-385, LXT-420, LXT-440, LXT-460, LXT-490. LIST $ 20.00 ea. 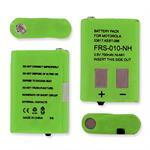 YOUR PRICE 14.95 each BUY # FRS-007-NH : 4.8volt 700mAh rechargeable Ni-MH battery for MOTOROLA & MIDLAND. TYPE/CHEMISTRY :Ni-MH. RATING : 4.8 Volts 700mAh. 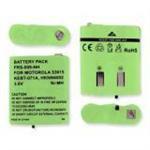 SIZE: 1.71"L x 1.62"W x 0.46"H.
Replaces original battery #s MIDLAND BATT8R, MOTOROLA KEBT-072, M370H1A. Battery works with these radio model#s: MOTOROLA KEBT-072, M370H1A, SX700R. LIST $ 20.00 ea. # FRS-008-NH : 4.8volt 700mAh rechargeable Nickel-Metal Hydride battery for UNIDEN. Replaces battery #s UNIDEN BP-38, UNIDEN BP-40, UNIDEN BT-537. Battery works with these radio model#s: UNIDEN GMR1038, GMR1038-2, GMR-1038-2CK, GMR1048-2CK, GMR1558-2CK, GMR1595-2CK, GMR635, GMR645, GMR648-2CK, GMR680, GMR855, GMR855-2C, GMR8553-2CK, GMR885, GMR895, GMRS380, GMRS3802, GMRS380-2, GMRS680, GMRS680-2. LIST $20.00 ea. 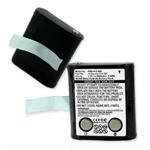 # FRS-009-NC : 3.6volt 700mAh rechargeable NiCad battery for MOTOROLA. TYPE/CHEMISTRY : Ni-Cd. RATING : 3.6 Volts 700mAh. SIZE: 1.93"L x 1.68"W x 0.56"H.
Replaces original battery #s MOTOROLA 53615, HKNN4002, KEBT-071. Battery works with these radio model#s: MOTOROLA EM1000R, FV500, FV600, FV800, HKNN4002, KEBT071, KEBT-071, MJ270R, T4800, T4900, T5000, T5320, T5400, T5410, T5420, T5500, T5522, T5600, T5620, T5700, T5710, T5720, T5800, T5820, T5900, T5920, T6000, T6500, T6500R, T8500, T9500. LIST PRICE $ 19.00 ea. 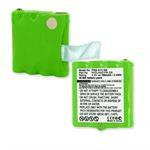 3.6volt 1650mAh rechargeable Nickel-Metal Hydride battery for MOTOROLA. TYPE/CHEMISTRY : Ni-MH. RATING : 3.6 Volts 1650mAh. SIZE: 1.93"L x 1.68"W x 0.56"H.
Replaces original battery #s MOTOROLA 53615, HKNN4002, KEBT-071. Battery works with these radio model#s: MOTOROLA EM1000R, FV500, FV600, FV800, HKNN4002, KEBT071, EBT-071, MJ270R, T4800, T4900, T5000, T5320, T5400, T5410, T5420, T5500, T5522, T5600, T5620, T5700, T5710, T5720, T5800, T5820, T5900, T5920, T6000, T6500, T6500R, T8500, T9500. LIST PRICE $ 19.95 ea. 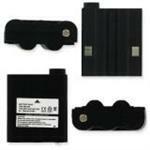 # FRS-010-NH : 3.6volt 700mAh rechargeable NiMH battery for MOTOROLA. TYPE/CHEMISTRY : Ni-MH. RATING : 3.6 Volts 700mAh. SIZE: 1.71"L x 1.21"W x 0.44"H.
Replaces original battery #s MOTOROLA 53617, FV300, KEBT-086. Battery works with these radio model#s: MOTOROLA FV300R, FV700, FV700R, FV750RCAMO, MH230R, SX500, SX600, SX600R, SX800, SX900, SX900R, T8550RCAMO, T9500XLR, T9550XLRCAMO, T9580RSAME, T9680RSAME. LIST $ 20.00. 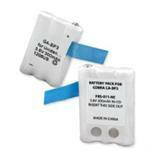 # FRS-011-NC : 3.6volt 300mAh rechargeable NiCd battery for COBRA FRS radios. TYPE/CHEMISTRY : Ni-Cd. RATING : 3.6 Volts 300mAh. SIZE: 1.71"L x 1.21"W x 0.44"H.
Replaces original battery #s GA-BP3. Battery works with these radio model#s: PR145, PR150, PR155. LIST PRICE $ 18.00 ea. 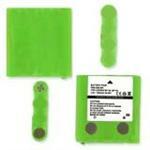 # FRS-012-MH : 4.8volt 800mAh rechargeable Ni-MH battery for TriSquare FRS radios. TYPE/CHEMISTRY : Ni-MH. RATING : 4.8 Volts 800mAh. SIZE: 1.71"L x 1.61"W x 0.44"H.
Battery works with these radio model#s: TSX100, TSX300. # FRS-013-MH : 4.8volt 700mAh rechargeable Ni-MH battery for MIDLAND FRS radios. Replaces battery #s PB-G6, PB-G8. Battery works with these radio model#s: M24, M48, M48 PLUS, M99, M99 PLUS, PMR466, SM400. 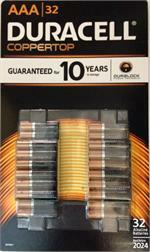 Remember, pricing is for 1 battery pack. The product pictures often show the various sides of the battery pack. For fleet pricing (25 pcs or more) please call us toll free 1-800-308-4805. If your particular FRS battery is not listed, please call us.